How To Install CyanogenMod 7 Android Gingerbread On Google Nexus S? The CyanogenMod 7 Android 2.3 Gingerbread for Google Nexus S is finally available. According to PocketNow, “CyanogenMod 7 isn’t fully cooked yet. It’s functional enough to be my daily driver, but it’s still in the RC0 phase (meaning it’s not ready to be called a release candidate)”. If you are planning to install the CyanogenMod 7 Android Gingerbread on your Google Nexus S smartphone, just follow the simple instructions given below. Before installing the CyanogenMod 7 on your device, we would advise you to backup all your important data and make sure that your Nexus S phone is already rooted. Install the CyanogenMod 7 at your own risk, since it could permanently brick your Nexus S phone. 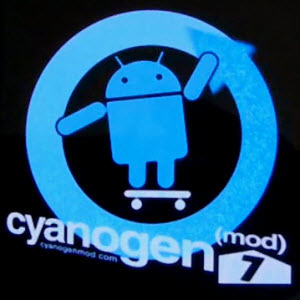 Download the CyanogenMod 7 Android 2.3 Gingerbread [link] & compatible Google Apps [link] and then copy it on the root of your sdcard. Download the ROM Manager from the Android Market. Once the process is over, tap on the flash ROM from SD Card on ROM Manager. Scroll down and search for the CM7 zip file and then, just tap to install the file. Mark the “Make a backup” and “Wipe Cache” options and elect OK.
Now your phone will automatically boot into recovery and ROM installation process will begin. Your phone will reboot once the ROM installation process is finished. To learn more, head over to this thread at the XDA Developers Forum.